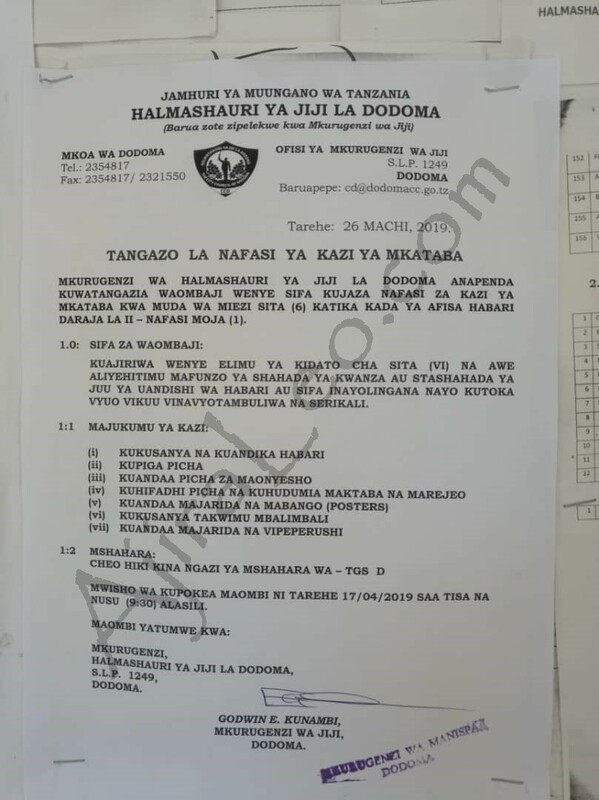 Dodoma (literally "It has sunk" in Gogo), officially Dodoma City, is the national capital of Tanzania and the capital of Dodoma Region, with a population of 410,956. Geography: Located in the centre of the country, the town is 453 kilometres (281 mi) west of the former capital at Dar es Salaam and 441 kilometres (274 mi) south of Arusha, the headquarters of the East African Community. It is also 259 kilometres (161 miles) north of Iringa through Mtera. It covers an area of 2,669 square kilometres (1,031 sq mi) of which 625 square kilometres (241 sq mi) is urbanized.